As I now review beauty products day in and day out, and search for that elusive "perfect skin," it&apos;s amusing to note that there was a time in my life when skincare wasn&apos;t much of a priority. In my teens and twenties, I took my youthful complexion for granted and paid little attention to suncare care protection or anti-aging. Thankfully, as I&apos;ve gotten older, I&apos;ve learned to appreciate my skin more, educate myself, and invest in the best products that will help preserve my skin. In my thirties, I began developing creases around my smile (don&apos;t mind them so much, I laugh a lot) and a hollowness under my eyes (this I mind very much!). As we age, the natural lifters in our skin start to break down and give way to fine lines and wrinkles. To increase my skin&apos;s firmness, I always use quality skincare with SPF to protect from further damage. 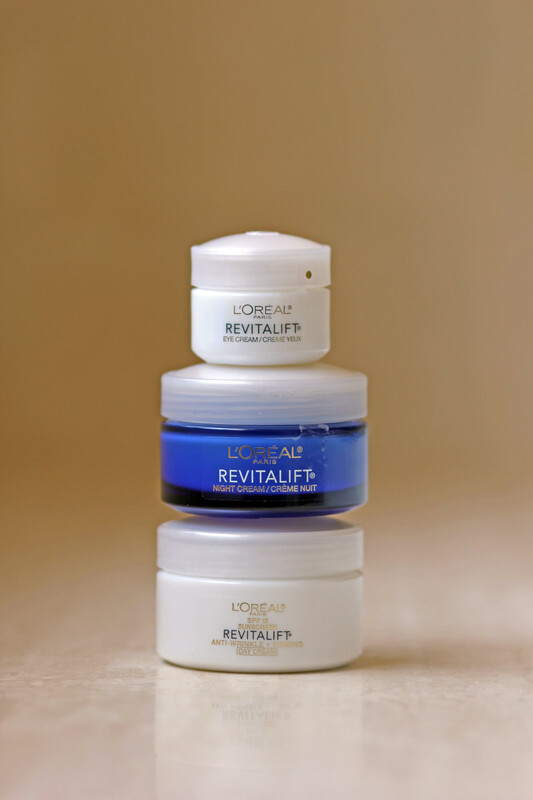 L’Oréal, one of my all-time favorite mass-market beauty brands, has a RevitaLift™ line of anti-wrinkle + firming products designed to replace skin&apos;s natural lifters, hydrate and protect. I&apos;ve been using the RevitaLift™ Anti-Wrinkle + Firming Day Cream Moisturizer with SPF 18, RevitaLift™ Anti-Wrinkle + Firming Night Cream, and RevitaLift™ Anti-Wrinkle + Firming Eye Cream in the hopes of slowing down the signs of age on my face. The products promise smoother, firmer skin in 4 weeks but I notice instant changes in hydration. The RevitaLift® Anti-Wrinkle + Firming Day Cream SPF 18 is fortified with Pro-Retinol A and a proprietary formula of 8 of the skin&apos;s natural lifters: Elastin, Perlecan, Fibrille, Integrin, Collagen III, Collagen IV, Collagen VII, and Chondroitin Sulfate. The formula is thick and creamy but absorbs quickly, leaving a nice little glow. It also contains a broad spectrum UVA/UVB SPF 18 sunscreen, a must for me now. RevitaLift® Anti-Wrinkle + Firming Face & Neck Contour Cream&apos;s formula also contains Pro-Retinol A and the "Stimuplex" of 8 natural lifters to stimulate cell renewal and hydrate overnight. This product is a little rich for me for summertime use given my combination/acne-prone skin but will be very useful as the season changes and the colder weather ushers in. 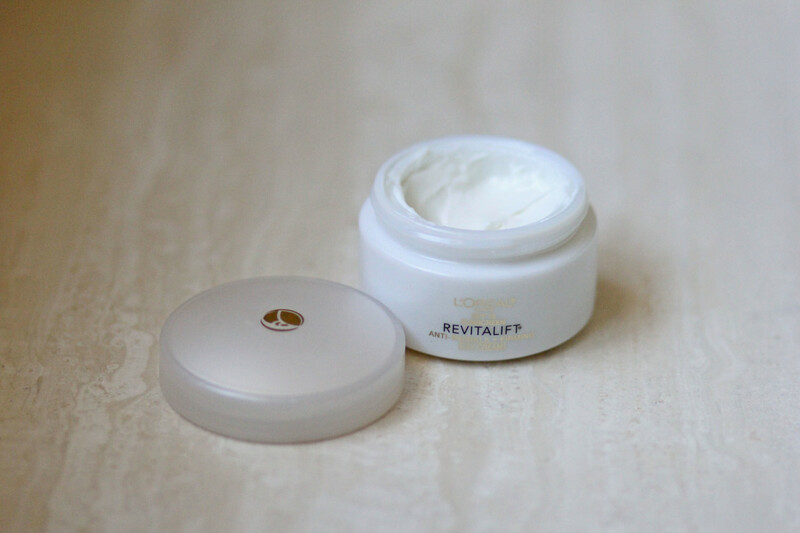 My favorite product of the trio is the RevitaLift® Anti-Wrinkle + Firming Eye Cream. I&apos;m such an eye cream junkie and a few dabs before the Day Cream really help smooth out the skin, hydrate, and make applying concealer a breeze. The formula is odorless to me and thick enough that it doesn&apos;t migrate. In my nighttime routine, it ensures that I won&apos;t wake up looking too hollow or with any dark circles. The RevitaLift® Anti-Wrinkle + Firming products are $17.99 each and available all food, drug and mass retailers. Can&apos;t beat that pricing and accessibility. L’Oréal has also introduced a skincare website, www.lorealskinexpert.com to help women find the right solution for their unique skin concerns. You can get expert information to help decode ingredients, usage instructions and lifestyle tips. What have you learned about your skin? Tell me in the comments below for a chance to win a $100 Visa gift card. This giveaway is open to U.S. Residents age 18 or older (or 19 years of age or older in Alabama and Nebraska). Winners will be selected via random draw, and will be notified by email. The notification email will come directly from BlogHer via the sweeps@blogher email address. You will have two (2) business days to respond; otherwise a new winner will be selected. Disclosure: This post is part of a collaboration between L’Oréal and SheKnows.